After what felt like months of waiting, 11 bit studios and Digital Sun's gorgeous dungeon crawling adventure, Moonlighter is finally available on the Nintendo Switch. 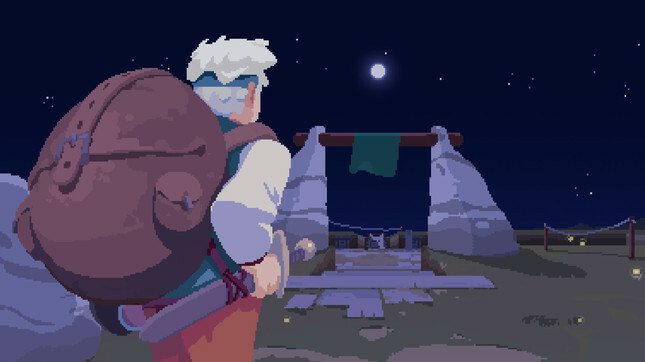 Moonlighter sees players take on the role of Will, a humble shopkeeper by day and a daring warrior by night. In a nice twist on a genre we've seen countless times in the past, Moonlighter tasks players with looting dungeons for potions, weapons and other RPG items. The difference here is that you wont be equipping all of that fancy new loot. Instead, you'll "put items on sale, set their price carefully, manage gold reserves, recruit assistants and upgrade the shop". I skipped Moonlighter when it initially released as I thought the Switch would be the best way to experience the gorgeous RPG. The Nintendo Switch has quickly become my go-to console for Indie Games. This is in part due to the overwhelming amount of them that get released and also because they feel so perfectly suited to the portable nature of the console. Have you played Moonlighter yet? What do you think of it?